Trudging down Fossgate and man did the rain come down. The daytime market, located in National Centre for Early Music, was almost completely deserted with many of the traders sat twiddling thumbs and reapplying smudged eyeliner. The Golden Fleece – as seen on Living TV’s ‘Most Haunted’ and DV8s primary pre-show watering hole – continues to do a roaring trade. Hauled up in Pivni and sipping a draught Framboise Lambic, which is a manly drink, Berlin Black’s Chris Tuke appears relaxed, joining us for a while before heading over to sound-check. Being first on at 6.30pm ensures that only the faithful put down their glasses and wonder across the road, but Berlin Black turn in a confident, assured performance. New EP ‘It’s only Natural’ gets a good airing, and though the songs are perhaps less memorable than those from 2010s ‘Burn it Down’, there are enough hooks to get tail-feathers shaking. Few knew what to expect from Siiiii – pronounced ‘sigh’ – who proved somewhat musically disjointed on tonight’s bill. Written of favourably by Mick Mercer during the inception in the early 80s, such patronage proved futile to many this evening. Paul Devine’s grumblings about their missing sound check are talked of more than the songs: a real shame when the likes of ‘Is Still’ and new cuts from last years ‘Modern’ have much to commend them. Younger listeners retreat to the sofas while the band climbs toward crescendos that never truly arrive, it is heavy going. Always less quixotic are Red Lorry Yellow Lorry, who have no trouble filling the venue again, despite an empty merchandise stand. Withered and chisel-faced, band leader Chris Reed remains an intense, imposing figure. Spawned from the nascent Leeds scene alongside the March Violets and Sisters of Mercy, the Lorries offer no showy gestures, just a relentless barrage of jagged, spiralling instrumentation. There is pogo-dancing aplenty as new songs fit in effortlessly with classics ‘Monkey’s on Juice’, ‘Beating my Head’ and ‘Spinning Round’. Reed’s vocals are beginning to show their age, but never buckle beneath that throbbing backline. It’s an apocalyptic vision and everything’s gone to pot, ain’t nothing to do but move with it. It may be two decades since an album last graced their catalogue, but the Psychedelic Furs prove they can still cut the mustard with a muscular, driven set, bringing a burst of sunshine to the murky Duchess. Ten minutes late and faced with an increasingly impatient crowd, the Furs storm the stage with a crystalline sound. 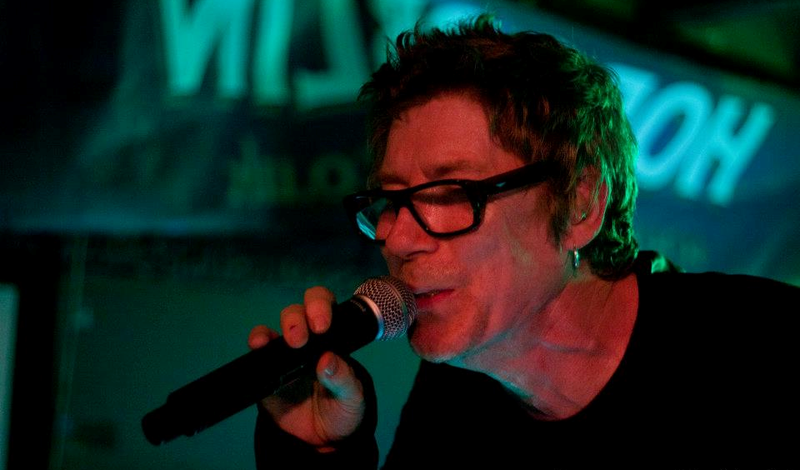 Since reforming the band in 2000, singer Richard Butler has retained his striking looks and Rod Stewart husk, visibly crackling with enthusiasm and bouncing up and down to the adulation of the crowd; he is the star of the evening and he knows it. Wrestling for the spotlight with saxophonist Miles Williams, Butler leads the band through early tunes ‘Into you like a Train’ and an extended ‘Highway Wire’ with real panache. While ‘Love my Way’ falls a little flat, a swirling ‘India’ practically ricochets from the walls, leaving enough time to gasp for air as a stomping ‘President Gas’ brings proceedings to a suitably sweaty end. 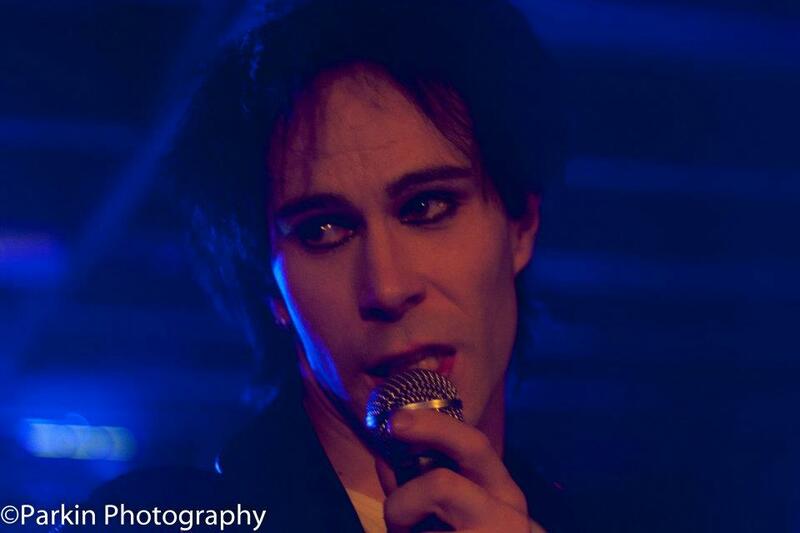 Despite some mid-set hiccups and Butler’s amusing similarities to Brick Top – we blame the glasses - tonight the Furs leave their laurels at the door, a feat managed by few now resigned to the ‘heritage’ circuit. Over on Gillygate, the Hellfire Club and Dead and Buried begin their sonic assault on the senses at Stereo, long-standing DJs Cavey Nik and Garry Hornsby crank out a veritable feast of Goth, post-punk, electro and all things in-between. New acquaintances are plentiful at these club nights: exchanging pleasantries over cups of gassy lager, or telling that bloke in the gents that ‘it’s gonna be alright’ as he evacuates his stomach lining. It’s also the only place one can pull by simply reciting lyrics to German post-punk, but that’s enough on that. The turn-out is modest as Partly Faithful get the ball rolling for the final night of DV8 - the weather has come good and most are outside nattering, or enjoying a pint in the adjacent beer garden. Ex-Screaming Banshee Aircrew man Ed Tuke plays the role of Goth ‘n’ roll star very well, his raspy vocals pitch-perfect. ‘Needles’ makes good on their early promise, moving effortlessly from cacophonous intro to stomping Theatre of Hate grooves. The changeover gave me the chance to mingle with some of the fans. I couldn’t resist discussing the acquisition of vintage Mission t-shirts, Bauhaus tattoos and decorated leathers – you can actually do that, with everyone welcoming and happy to indulge my wide-eyed questioning. Three-piece David R. Black have been operating under the radar for just shy of a decade, so it would be fair to say their boat has sailed, but new album ‘Secret City’ proves such notions mean said all. ‘Chimes’ and the soaring title track rub shoulders with punk riffage in ‘Guacamole’; they are eminently capable of switching gears without sacrificing their core identity. The mixed male and female vocals from guitarist David R and Sarit Black certainly add a unique polish, juxtaposing those spiky guitar shards. Well reviewed by underground and mainstream press, David R. Black sounds like Ausgang channelling the Who. Prick up your ears! Having just released their debut ‘VVV’ EP, London’s Vuvuvultures are stars in the waiting. 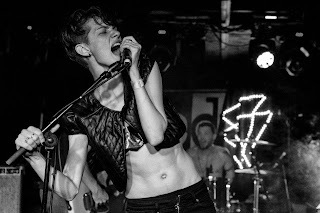 Androgynous and photogenic, Harmony is the lovechild of Peter Murphy and Agyness Deyn, holding the crowd in the palm of her hand and belting out rockers ‘Strangler’ and ‘Pills Week’ with that wayward tornado of a voice. Rickety synths and an old Fender Mustang provide serious indie cred and a few smiles as the unruly instrument gets its second tune-up in 25 minutes. They are truly commanding, with every photographer and smartphone user scurrying forward to catch a glimpse. Plenty of specialist t-shirts stalk the floor as ex-Factory band Section 25 set up their gear. Since original singer Larry Cassidy’s passing in 2010, daughter Beth leads the band on vocals, synth and percussion. Tracks from their 1984 record ‘From the Hip’ – produced by Bernard Sumner – are the strongest, reminiscent of labelmates the Wake and bolstered by Beth Cassidy’s angelic vocals. New number ‘Will to Survive’ certainly leaves a sickly taste with its woeful greeting-card sentiments. Despite some gorgeous melodies, their aloof stage persona just does not measure up after Vuvuvultures’ ‘in your face’ antics; aside from the odd furtive glance, the band spend the majority of their set looking at each other, it feels like watching your mate’s band fumbling through cover tunes. Tonight’s headliners need no introduction. The March Violets are triumphant, exuding confidence as they blaze through their back catalogue. Vocalists Si Denbigh and Rosie Garland command the Duchess, combining their powerful harmonies with a thoroughly British, humanising wry wit. Bass player/violinist Jo Moy keeps things solid and allows Tom Ashton’s creative guitar work room to shine. The mechanics overall is rather fitting as he welds discordant bends and early Television into ‘Crow Baby’s neo-psychedelic swirls. ‘My Demons’ makes its live debut tonight, and all signs point to splendid on the back of ‘Road of Bones’ and ‘Dandelion King’. Thanks to the wonders of the internet, Pledge Music has afforded the resurrected quartet the opportunity to record their full length debut, 30 years after their inception – quite unbelievable really, considering their pedigree and vast discography. Reaching a glorious crescendo with‘Snake Dance’, DV8Fest closes with the Violets delighting old fans, and winning new ones. Si’s Japanese monologue in ‘Tokyo Flow’ surely gave things a nudge. Though I continue to hear “last year was better” muttered in hushed tones, and will concede that attendance this year has been more modest, Sherrington’s DV8Fest continues to offer some serious bang for your buck. It’s a chance to make new friends, relive fond memories and dance like hell, all to the tune of 45 bands…with the odd takeaway chucked in.